From the late 1970’s to the early 2010’s the annual Tamworth Country Music Festival hosted the National Bluegrass Championships. This event set out to find the best bluegrass pickers from across the country. 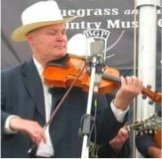 In the early years of this event we saw emerging champions such as Chris Duffy, Trev Warner, Mike Kerrin, Mark Collins, Rod McCormack, Ian Simpson and Donal Bayor all of whom went on to play a significant role in the development of bluegrass music in Australia and some are still performing. The National Championships event ceased in around 2011. Changes to the festival committee over the years saw abilities, experience and knowledge of and enthusiasm for the annual event wane as people moved on. However, news this week reveals that a new event The Battle of the Bluegrass is set to become the hottest picking competition ticket in town as and artists prepare for the showdown in this January’s Tamworth Country Music Festival. This highly anticipated feature of the Coca-Cola Country program and held in the iconic town hall during the Toyota Country Music Festival, Tamworth, the Battle of the Bluegrass will feature blistering banjos, magnificent mandolins and fiery fiddles. This battle gives acoustic musicians from across the nation the chance to show off their skills and put their musicianship to the test. There are 2 sections: 17 years and younger, and a seniors section, with cash prizes for 1st, 2nd and 3rd place-getters. Heats begin on Sunday, 22nd of January to Wednesday, 25th of January, with the grand final showdown at 11am Saturday, 28th of January. Online entry bookings open Tuesday, 1st November so work those furiously fast fingers and go to the festival website or if you have any further queries call Fairfax Rural Events today on (02) 6768 5800. Photo: Berea College, Southern Appalachian Archives, John Lair Collection. Many musicians from Kentucky cite their mothers, grandmothers, aunts and sisters as inspirations. Why then, wondered Rachel Hopkin, don’t female musicians appear prominently in the state’s musical history? Her quest to find out taught her about three country pioneers and took her all over the Bluegrass State. I fell in love with American traditional culture some years ago when I travelled from my native England to the southern Appalachian Mountains for a field trip. The region is well-known for its vigorous maintenance of various forms of folklore—including pottery, quilting and storytelling—but I was most interested in music. I spent two months wandering around and listening to old-time musicians, including quite a number in Kentucky. It seemed apt, therefore, that when I eventually moved to the US myself in 2010, Kentucky would become my first home. My mother, who visited me there several times, thinks that the English spoken with a Kentucky accent is the most beguiling she’s ever heard and I’m inclined to agree. The state itself is equally entrancing and full of contrasts. The northern part is famed for its racehorse stables and the annual Kentucky Derby. To the east are the aforementioned Appalachian Mountains, where despite cultural richness poverty is rife. However, I spent my two-year sojourn based in the green rolling countryside of south-central Kentucky. Bowling Green was my nearest city. You can read the full article on the ABC RN Earshot webpage. The 2nd Sunshine Fiddle Camp is scheduled for Fri 28th September 2012. There is a range world class tutors who will bring skills in performance, composition, arranging and improvisation. There is also a separate class for those that wish to take learning at a slower pace as well as a class just for the kids. If you started the Violin a long time ago, or always wanted to play the Fiddle here is your chance, the camp provides a class that will get you started or restarted on the fiddle. Hanneke performs as a solo act and tours regularly with Baroque/Celtic group Ensemble Galilei. She has performed with the Cathie Ryan Band, Cherish the Ladies, Alasdair Fraser, and Matt Glaser and the Wayfaring Strangers. She is an active member of Boston-based band Childsplay (featuring 20+ fiddles made by Bob Childs) and co-founder (with Laura Cortese and Lissa Schneckenburger) of Celtic chick band Halali. She teaches regularly at Alasdair Fraser’s Valley of the Moon and Sierra Fiddle Camps, Boston Harbor Fiddle Camp, and the Club Passim School of Music. Hanneke’s fiddling has graced the stages of The Boston Hatch Shell (performing with Joey McIntyre of New Kids on the Block), Boston’s Symphony Hall (opening for Judy Collins), Mountain Stage, The Plaza Hotel, and the Lincoln Center. 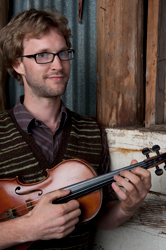 Chris Stone played Scottish fiddle music for six years before taking a brief excursion into the classical realm, completing a Bachelor of Music Performance at the Australian National University in 2006. He now plays neither. Chris’ great enthusiasm for fish, fishing, fish farming and fish spotting is almost balanced by his love of books, vintage cheese and organic gardening. 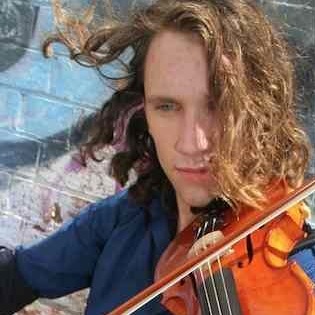 He completed a Post Graduate Diploma in Music Performance from the Victorian College of Arts in 2009 and now has a PhD in his sights. George Jackson grew up on the sounds of Folk and Bluegrass from his parents Alistair and Karen. He was given his first fiddle at the age of 4, performed with his parents onstage at age 9 forming the family band “Fiddlesticks”. Now in his 20’s George Jackson is an accomplished touring musician, so far he has performed extensively throughout New Zealand and Australia at many music festivals as a soloist and as member of many bands. From age 16 – 19 George performed with Fiddlesticks in Australia touring for the Queensland Arts Council “Ontour in Schools” and “Ontour by Request” touring programs, all the while finishing school by correspondence. 2007 and 2011 saw George perform at the Wonju Tattoo in South Korea as a dancer and fiddler for the “NZ Highland Dancers”. In 2011 George completed a one month tour of Scotland with the Bluegrass unit “Present Company”, it was an inspiring month featuring performances at 3 festivals alongside some of his Scottish music heroes and included many concerts around the country. Meanwhile George has gone on to study Jazz Violin performance at the Queensland Conservatorium of Music. Karen and Jacko are Fiddlesticks and play fiddle, sometimes together, sometimes separate, mostly acoustic, sometimes electric, mostly with voice, sometimes with feet but always with energy, emotion and fire. Fiddlesticks have been on a musical journey for 20 years, touring extensively throughout Australia and New Zealand, spinning their musical stories, spreading their love of all things “Fiddle” through performance, schools and workshops. Both have Music Degrees from Canterbury University, they have won multi awards for their fiddling, reached the finals in the TV series “Show Case” and for the last 5 years, have been exclusively contracted to Queensland Arts Council. They cross the generations, the genres, mix the electronic with the acoustic, and toss it all into the world music melting pot. I am keen for people to know about so many styles of music such as bluegrass, jazz, celtic – Karen Jackson. The camp venue is Alexandra Park Conference Centre in the heart of the Sunshine Coast Beaches, a 200 metre walk to a patrolled Surf Beach and nestled amongst one of the few remaining pockets of Sunshine Coast Rainforest, between Mooloolaba and Maroochydore on Queensland’s beautiful Sunshine Coast. The Fiddle CD will be launched at “Notes Live” venue in Enmore, Sydney on Friday the 4th of November. The night will feature Mike Kerin on fiddle, Ian Simpson on banjo, John Kane on guitar , and Michael Vidale on bass with special guests Genni Kane, Anne Kirkpatrick and more. G erry Hale from the Guitar Gallery advises that they now run regular monthly workshops. 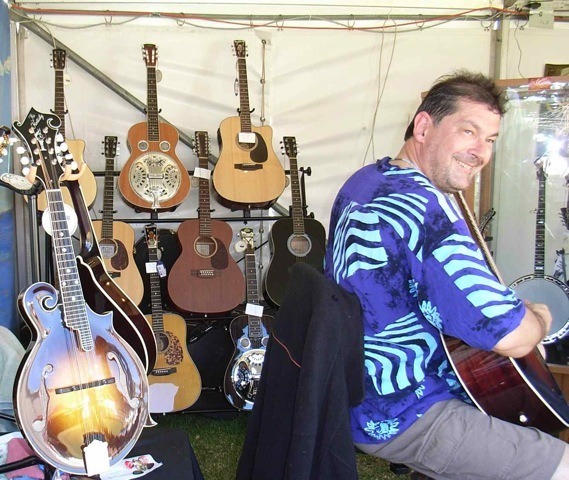 The Guitar Gallery is located at 30 Johnston St, Fitzroy, and specialises in acoustic instruments. The focus of the shop has broadened to include a great selection of banjos, mandolins, and Dobros as well as guitars. The Guitar Gallery is owned and staffed by musicians who also run a range of workshops and take classes and lessons in guitar, banjo, Dobro, mandolin in various styles such as Irish and bluegrass. The tutors have many years of experience as performers and teachers of their chosen instruments. They create a warm and encouraging environment for students, from beginners to advanced. 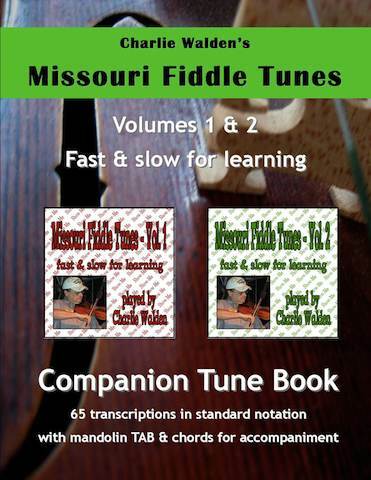 News from Charlies Walden this morning is that he has written two new fiddle books to accompany his recordings of Missouri Fiddle Tunes – Vol. 1 & 2 Fast & Slow for Learning. The book contains a transcription of all 64 tunes from the CDs. The original recording has been around for nearly 20 years. Many of my students have used it as a guide to building repertoire and technique in playing Show-Me style fiddling. I’ve always contended that anyone who wants to fiddle should school themselves in the ‘standards’ and many of these are presented herein. These transcriptions are provided as an additional aid in learning the tunes from the recordings. Anyone who notes differences between the recordings and the transcriptions should be patted on the back for being an active and attentive listener. The book is available at www.lulu.com and best of all for my Australian pals is that it can be downloaded, less expensive and zero shipping cost. Just enter ‘Charlie Walden’ into the search, at Lulu and it will come up. Also, the CDs are available as downloads from www.cdbaby.com – Charlie ‘Possum’ Walden. The books contain standard musical notation including chords as well as mandolin tablature for each tune. Charlie has included his own comments on the origins of these tunes along with alternative sources of recordings and tanscriptions. there is also a list of other recordings and books which might prove useful in learning more great Missouri fiddle tunes. Charlie Walden has advised us of the release of two classic volumes of Missouri/Midwestern fiddle tunes that have been reissued by University of Missouri Press. The Old Time Fiddlers Repertory (Vol. 1 & 2), compiled and edited by R. P. Christeson, are now available in a new paperback spiral bound format. In the first volume Christeson presents the scores for traditional tunes as played by thirty-three different fiddlers from nine states. Many of the tunes, divided into categories of breakdowns, waltzes, quadrilles, and pieces that have never been published nor appeared on commercial recordings. In the second volume the scores are again arranged by musical type: breakdowns, organized by key; quadrilles, which some folks call jigs; miscellaneous pieces; and waltzes. 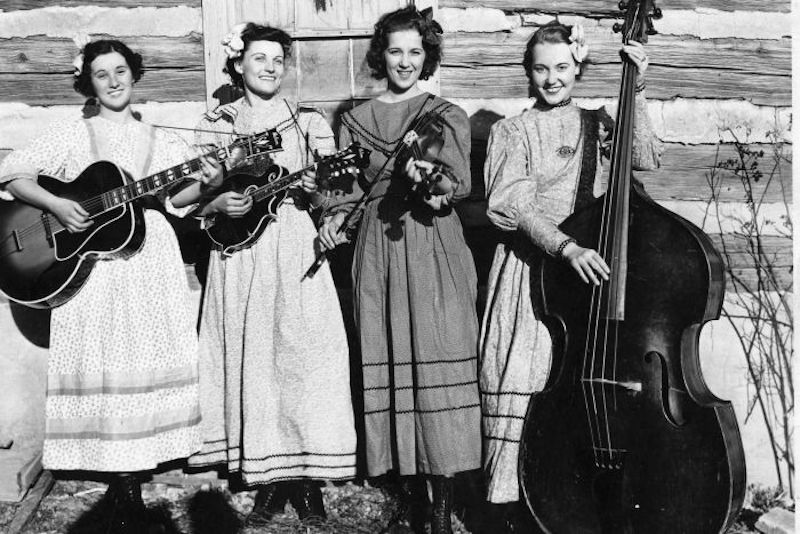 Most of these tunes are from Missouri, fitting because the state is a leader in old-time fiddling, with numerous contests and active local associations promoting the music. Both volumes of The Old-Time Fiddler’s Repertory are outstanding collections in an attractive and useful form. On a flight from Brisbane to Canberra this week an Australian musician’s prized violin was damaged after Qantas staff refused to let her carry her instrument on board as hand luggage. Emma Dean instead had to put the violin, which she has used for 14 years, in the baggage hold, where it was badly damaged. Emma was boarding a plane to Canberra this week when staff ordered her to hand over her delicate instrument. Never have I been banned from taking my violin on a plane. They didn’t give me bubblewrap or another case to put it in but just said I had to put it down below with the other luggage or I wasn’t getting aboard – Emma Dean. News from Donal Baylor is that he will be presenting a fiddle workshop in Melbourne next month that might be of interest. The workshop is at Fancy Yourself Fiddling located at 316 Park St., Carlton. The workshop will run from 2:00pm to 5:00pm on Saturday 13th March. Workshop space is limited to a maximum of six students participating. The workshop fee is $60. If you are interested you can contact Sean Kenan on Phone: (03) 9380 5643 or email: seankenan@hotmail.com.